These classic men's Burberry BE2108 frames come in a range of colors that will help him create a trademark look though his eyewear. These fashionable plastic frames are made out of high quality plastic and laminate. An injection of pigment into the laminate is responsible for the unique layering effect, which is a hot look in the eyewear fashion circles. 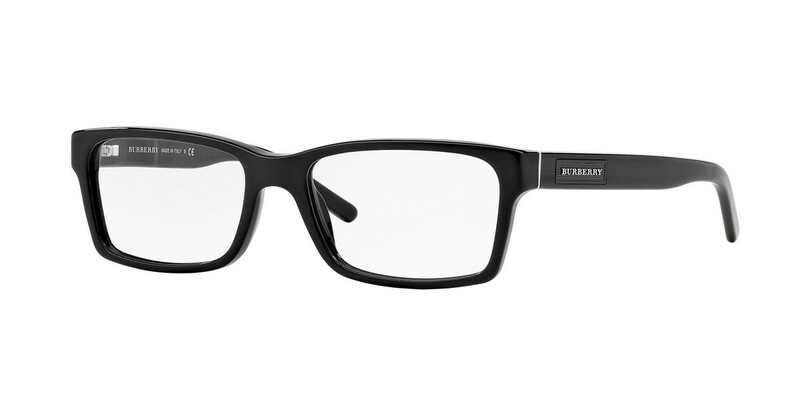 If you're after a pair of fashionable Burberry BE2108 eyewear frames that are versatile and minimalist, these square eyeglasses will add the right amount of sophisticated cool. Pair them with your business attire or a pair of simple blue jeans and shirt; you'll still look the part no matter where you go. Add more definition to your rounder face to show the world who you are - it's up to you how you wear them! These casual frames are what you need if you're a bit of a free spirit who likes to go with the flow. Throw on your favorite pair of blue jeans and top it off with a pair of casual looking Burberry BE2108 glasses and show the rest of the world you can be both stylish and carefree at the same time. Oval shaped faces will benefit greatly from medium temple frames, as they will add to the almost perfect symmetry of the face while sitting comfortably behind your ears. Very manageable site. Thank you. Great service !! Especially when I had to change the order, your staff was very helpful and reassured me the order was changed. I love service like that!! Makes your service worthwhile to use. Products arrived well ahead of scheduled time . A nice surprise, thank you. I will be recommending your service to my friends and clients. Thank you for great service . You all do a great job!! I bought these glasses at lens crafters/pearl vision. Not sure which one they were at the time. I have gotten plenty of complements and I love the look of these glasses, but to be honest the metal piece on the side fell out once, and i found it and had to glue it back in, but then the other side fell out and I never found it the second time. Ive been wearing broken glasses for a month now, and to buy the piece at lens crafters is the same amount this website is selling the frame for.